Our offer includes dinner so you won't miss out on the sumptuous menu! 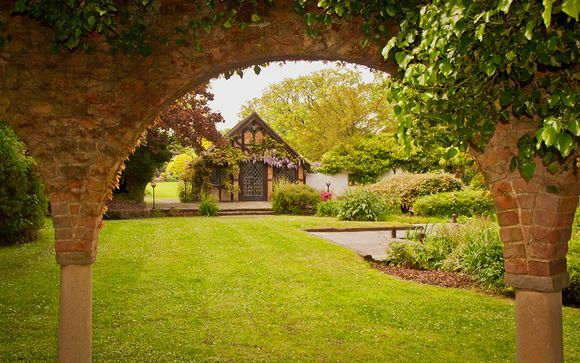 West Sussex is brimming with a range of fun activities for all the family. With 80% of the county being classed as rural, and over 50% of it designated as Areas of Outstanding Natural Beauty, an invigorating country walk is a must to really take in as much of the rich landscape as possible. Sun seekers may want to head to one of the gorgeous beaches available, including Brighton Beach, Camber Sands, Eastbourne and West Wittering, to name a few. With Brighton just 27 miles away, there is plenty to explore in the city including The Lanes, North Laines and the Churchill Square Shopping Centre. Not to mention the countless boutique shops, cafes, bars and restaurants, making this a really unique place with plenty to discover. Head North and you’ll find the historic market town of Horsham, a delightful jewel in the Sussex countryside with less hustle and bustle than Brighton but just as much charm. Alternatively, why not head west towards the cathedral city of Chichester? The compact pedestrianised streets offer excellent boutiques as well as high street favourites. On your way back, pop in to Arundel - well known for its eclectic mix of antique shops boasting antiquarian maps, art deco glass, teddy bears and French country tables. Ghyll Manor is perfectly located for you to enjoy an array of local attractions right on your doorstep. From a trip to the seaside or, exploring a National Trust Property to shopping in Brighton's North Laines, from wine tasting at one of the local vineyards to walking on the South Downs or even taking a ride on a steam engine at the Bluebell Railway, there is simply a whole host of choices available to you! Ghyll Manor is a stunning 17th century country house hotel nestled in the heart of 40 acres of private Sussex countryside. Behind the Tudor beamed exterior, 29 individually designed bedrooms of varying shapes and sizes await, offering an effortless blend of charming period features and modern facilities. A perfectly affordable escape, here you’ll find friendly and personal service in a relaxed and comfortable setting. 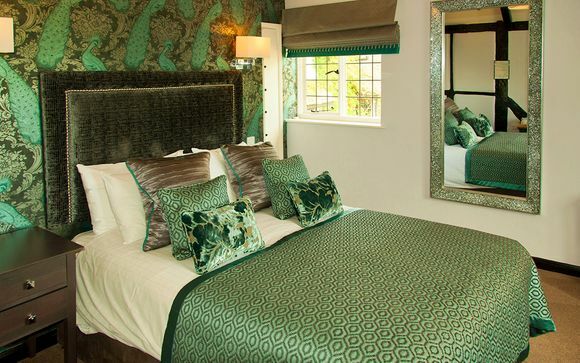 You truly can set your own pace, because Ghyll Manor is a country house to call your own. Our members may choose between a Standard Room and a Feature Room. Standard Room - All of these comfortable rooms are furnished to a high standard, and feature simple yet fresh decor, making you feel perfectly at home. 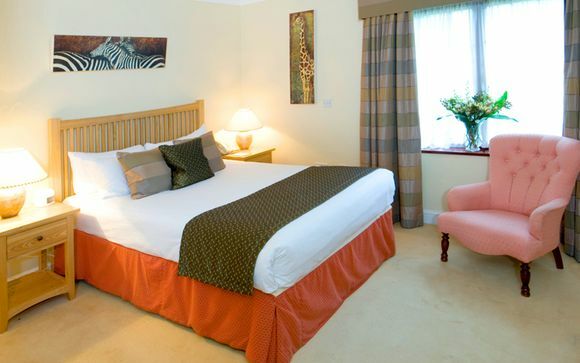 All rooms include: en suite bathrooms, flat screen TV with selected Freeview channels, free wi-fi, tea/coffee making facilities, telephone and complimentary car parking. Feature Room - The hotel's crème de la crème, located within the original 17th century main house, these 8 individually designed double rooms boast original features, some with a four poster bed, all oozing unforgettable character, elegance and charm. They include all the amenities featured in the Standard Rooms. This offer is based on a half board stay. Just for you: complimentary half bottle of Prosecco. Offering a quintessentially British menu, the Gyll Manor restaurant offers delicious creations made from the best locally available produce. Enjoy this in the relaxing and warm ambience of the restaurant surroundings, and take in the complementing flavours produced by carefully selected ingredients. Some of the culinary delights include braised pork cheek, crayfish and prawn saffron risotto and chicken liver pate served with a delicious home-made plum chutney. Why not relax with a pre-dinner drink in the contemporary bar, or if the sun is shining, on the terrace overlooking the beautiful gardens. Then, after your visit, you’ll be able to set your own pace - curl up in the cosy library lounge, or simply explore. Leave the motorway at Junction 9 and take the A24 to Dorking. From Dorking, continue along the A24 towards Horsham, going past the Capel turn-off (on the left) and continue to the large roundabout at Clarks Green. Take the left turning (signposted Rusper) and as you enter Rusper, Ghyll Manor Hotel & Restaurant is on the left-hand side. Leave the M23 at Junction 11. Take the A264 to Horsham, turn right at the roundabout for Faygate and continue along this road to Rusper. Ghyll Manor Hotel & Restaurant is situated at the end of Rusper village on the right-hand side.